The 8.2 was bound to show up one more time, and makes another late appearance. But even though the 8.2 might seem a far cry from the A18 in terms of price and rank, it possesses some comparative strengths of its own; mostly occurring from its warmer signature. The 8.2 might not be as stimulating or resolving, it is smoother and more laid-back. The A18’s stage is significantly wider, as well as airier – the increased treble presence certainly helps, as does its extension. The 8.2’s stage is more conventional in dimensions, while the slower bass tends to warm it. But despite its smaller dimensions the 8.2 holds its own, based on the quality of its imaging and layering. But the A18 has a natural advantage in separation; not only by its wider stage, but by constructing a cleaner image based on its lifted treble and higher resolution. The 8.2’s bass is one of the cornerstones of its signature, providing its warm and smoother flavor. It might not be the quickest, but its bottom-end extension is good, and it comes with a nice bit of mid-bass impact. Most importantly, it’s a natural-sounding bass. With the M20 module, the A18 provides more mid-bass impact than the 8.2, while its decay is quicker. It delivers its hit, while vanishing as quick as it came. With the M15 module its bass is tighter than the 8.2, while both hover around the same quantity. 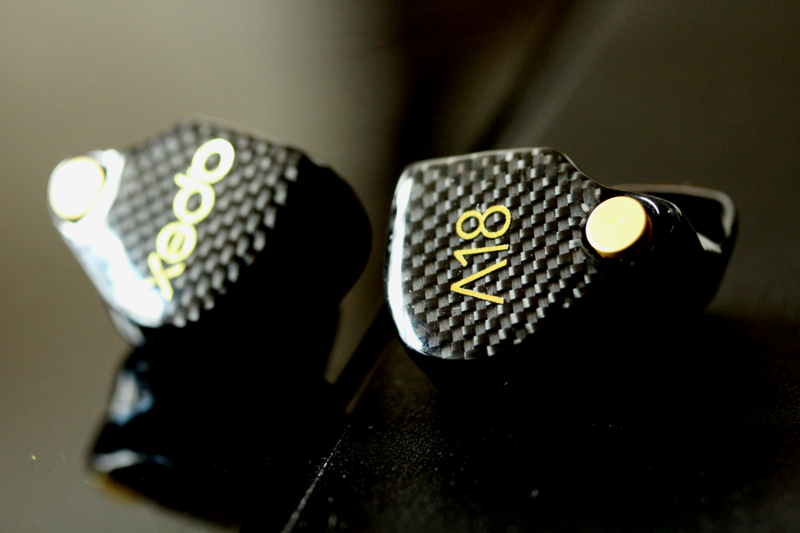 Overall, the A18 provides the technically superior bass, the 8.2 the warmer and more natural-sounding bass. Two different midranges altogether. The 8.2’s focus is on providing an organic listening experience, infused by its warmth. The bass further provides a thicker note, filling up the lower midrange. The A18 shifts the spotlight higher, emphasizing the upper mids over the lower and center midrange. It’s a more detailed and energetic midrange, contrasting that of the warmer 8.2. Even so, the differences aren’t large when it comes to vocal density or instrument size. The difference in presentation and performance however are. 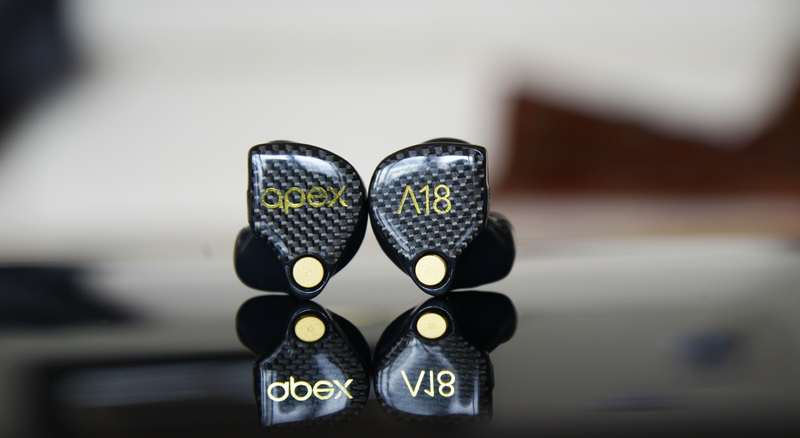 But arguably, the difference in their presentation resides mostly from their treble; the A18’s enhanced lower treble provides a cleaner, more articulated sound. The 8.2’s treble region on the other hand is generally laidback, contributing to the smoothness of the sound. But the difference in extension is equally important; for where the 8.2’s is around average, the A18 extends supremely far. In addition, a peak in its upper treble provides a touch of brightness in its tone. Overall, the role of the treble gears the A18 towards precision, improving on the 8.2 in terms of resolution and transparency. The 8.2 in turn counters with a warmer, more organic signature. The W900 and A18 might have different signatures overall, they also share prominent commonalities: for starters, a large ‘wow factor’. In both cases, a powerful bass down below. And equally, an impressively wide stage – the two widest in the shootout. But where the A18 steers towards excitement by means of its lifted treble response, the W900 goes for its own variation of neutral. 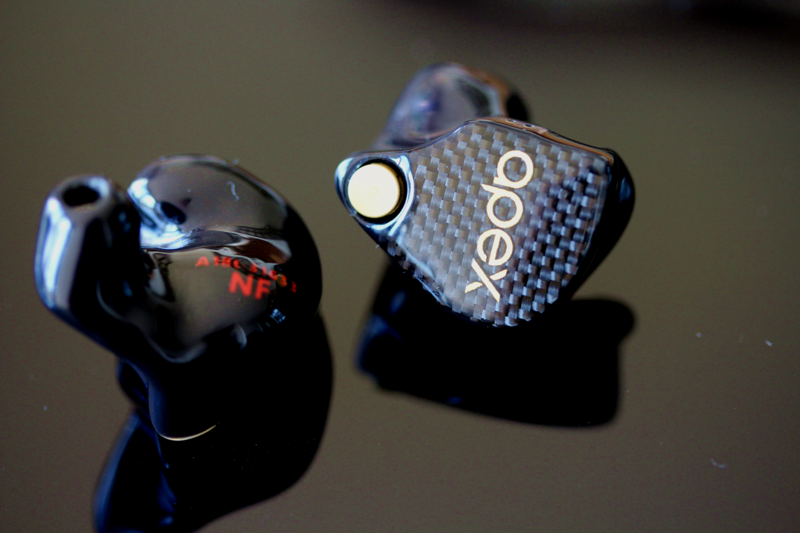 As mentioned, both iems create a vastly wide stage, surpassing the iem average. But the W900 adds a good bit of height, creating a taller screen. In addition, its layering ability is a bit more precise, resulting in a slightly more organized presentation. The A18’s lifted treble in turn provides a more articulated sound with greater clarity, resulting in more precise imaging. But altogether, the differences are minor, with each providing an impressive presentation. As does their bass; in both cases, its quantity is greater than neutral. Even so, they differ in character, resulting from the W900’s dynamic driver. It’s not as quick, but has a more analogue feel. A rounded bass, with a nice body and excellent texture. With the M20 module, the A18 seems to provide more impact, while its decay is quicker. It’s a fun bass, and cleaner; but the W900’s sounds a bit more natural and lifelike. In both cases, the midrange is fairly neutral in tone, but constructed differently. The W900’s vocals aren’t particularly large in size, but are denser. It’s a rounder vocal, and slightly warmer in tone. The A18’s vocals sound clearer, and more accentuated; but miss a bit of the W900’s vocal power. Their instruments are similar in size, but the A18 offers more clarity. It’s a more forward, stimulating presentation, compared to the relatively laidback W900. The W900’s upper midrange is closer to neutral in terms of brightness, while sounding slightly smoother. The pattern continues in the treble; the A18 again is significantly more upfront in its treble, resulting in a more detailed presentation. There’s more sparkle in its sound, and light on the stage. In addition, its decay is quicker. The W900’s treble is more laidback, and accordingly, more smoother. The two iems not only share the widest stage, but the most extended treble. And in both cases, their performance is high. Even so, the 18 edges the W900 out in resolution. In terms of signature, the A18 might well be one of the most exciting earphones on the current market – at least for me. A combination of a beautiful upper midrange and its energetic, yet refined treble, makes for a rather stimulating sound. And despite the brighter signature, it manages to deliver an abundance of detail in a relatively smooth way. I’ve mentioned the ‘wow factor’ before, and the A18 delivers in spades. Its stage is bound to impress, and ‘fun’ seems to be the best way to describe its bass. With the M20 module, the A18 provides a rather engaging sound, aptly catered to the current market. The M15 module in turn offers a cleaner counterpart; ‘fun’ gets swapped for detail, and precision. The modules offer versatility that way. When listening to the A18, I find myself looking for music that matches its energy – pop, faster rock, and in my case, especially electronic music. But this also illuminates the flipside of the coin, ensuing from its lifted treble; I’m less drawn to vocal-based and generally more laid-back easy listening music, relying on naturalness and timbre. Similarly, its vocal presentation is engaging, and matches the energy level of the signature. But its only average in terms of density and power – at least relatively, when compared to the specialists. But these are natural consequences resulting from tuning choices; the warmth and body down low, is traded for energy and sparkle up top – you simply can’t have both. And while I mentioned its layering could get a bit tight, it’s something easily susceptible to improvement from certain cables or balanced outputs. The A18 makes a valid claim for top position in this shootout, and it will come down to preference to determine if it deserves it – I certainly don’t find it any less. The A18 is bound to deliver a sense of excitement, once you hear it. Unfortunately for the A18, it suffers a bit from the scoring bias, which prioritizes timbre throughout the individual scores. When placed under scrutiny, its instrument timbre could be a bit warmer to sound completely accurate; the reason the upper mid and treble scores are capped at 89, despite their thoroughly engaging sound. Which isn’t to say the A18 doesn’t sound accurate altogether by any means; the emphasis simply lies on excitement, resulting from its slightly brighter treble. And I love it for what it does. For people seeking a similar form of excitement, the A18 should be top pick. The fun bass, beautiful upper mids, detailed treble, and wide stage – a more than spectacular presentation. The scoring can be viewed in the introduction post.